Well I think it is time to give a pair of Legend Compression Wear away. I absolutely think these are the best compression socks and sleeves on the market and want to share a pair with you. You can check out my review here. The winner will win their choice of (1) pair of Legend Performance Socks or (1) pair of Legend Compression Sleeves in your preferred color! Talk about a sweet deal. I just ask that you follow the details below! This contest is in not sponsored by Legend Compression Wear. Visit here to check out Legend Compression Wear!!! Give my blog a follow if you aren’t already for future giveaways! I have used compression gear in training but never during a race. I know you through THP and have followed you on Twitter for quite a while, so I know you are a runner. I am just getting back into running myself and hoping to run a mini-marathon later this year. In the past, I have battled shin splints from time to time. 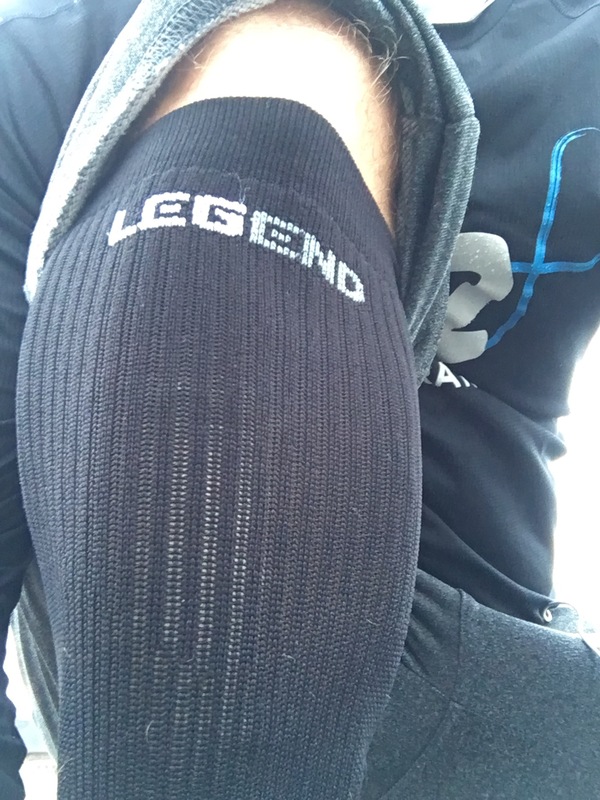 I have never worn compression gear before, but noticed on the Legend website the mention of extending the life of your legs and aiding in faster recovery. These socks have my attention and I would love to try a pair out prior to investing in several pair. As I get older recovering from difficult training sessions seems to take longer. I’ve used compression in the past as well as foam rolling with some success. Another method that works for me is a nice easy bike ride, it moves fluid back into the muscle which speeds recovery. 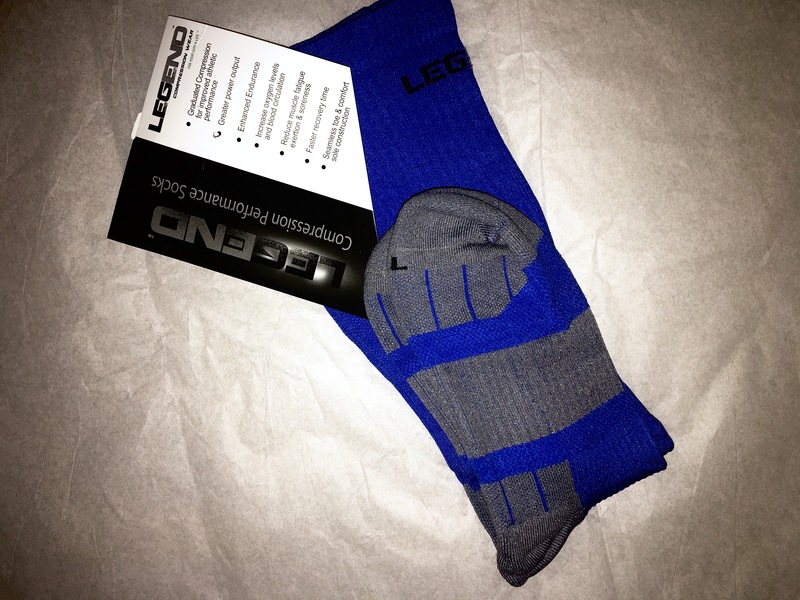 I’d love to try Legend Compression Performance Socks and would probably go with black or blue. I have used compression socks some, mostly to help with recovery. Seems to help with occasional aches in my calves. Occasionally have slept in them to also help with the aches. I love them and use them for recovery. I love compression socks and wear them a ton. I’ve only tried one brand though (not legend) and I feel like I should branch out and try others. Who knows? I may like another brand better. I love compression socks! My long runs would not be complete without them!